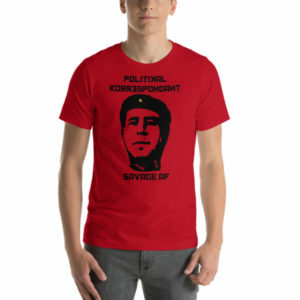 You think a gun is the most important thing to bring to a gun fight? Well yeah it is a gun fight, but what happens afterwards could really make the difference between life and death. 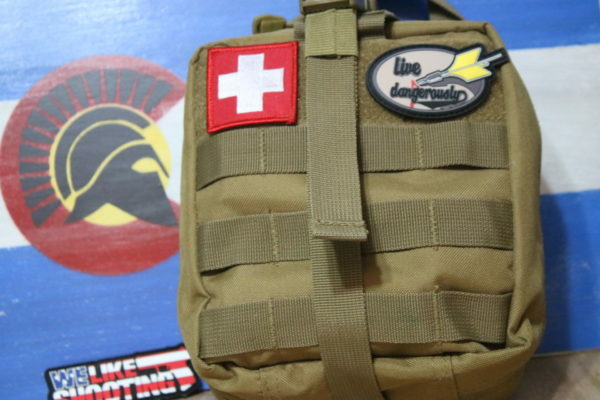 The WLS IFAK (Individual First Aid Kit) will help you deal with the trauma for almost any situation. You don’t have to be TCCC certified like Shawn to be prepared for the worst. (Damn it Aaron!) This with all options is the bare minimum you should be carrying and you will want to use this as a starting point. The WLS IFAK Contains supplies that will help you deal with Massive Hemorrhage, Airway and Hypothermia Prevention. Using the WLS IFAK will help you in medical situations following a recreational, tactical or disaster response to increase survivability in a pre-hospital situation. 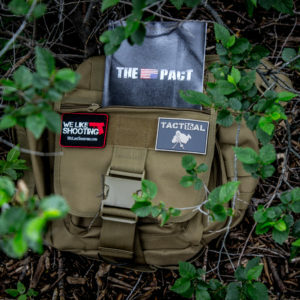 Build out a personal Trauma kit that is small enough to fit on your pack but big enough to save a life. 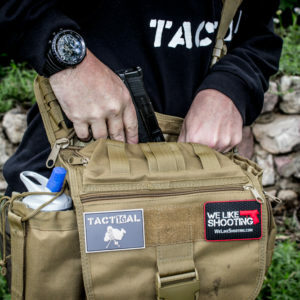 *Owning a WLS IFAK does not mitigate the need for training, but makes you as close to a doctor as you can become without going to med school as much as eating a donut makes you a cop. Base kit includes Tear-away pouch, shears, gloves, blanket, tape and patch. We recommend at least one of everything on this list. 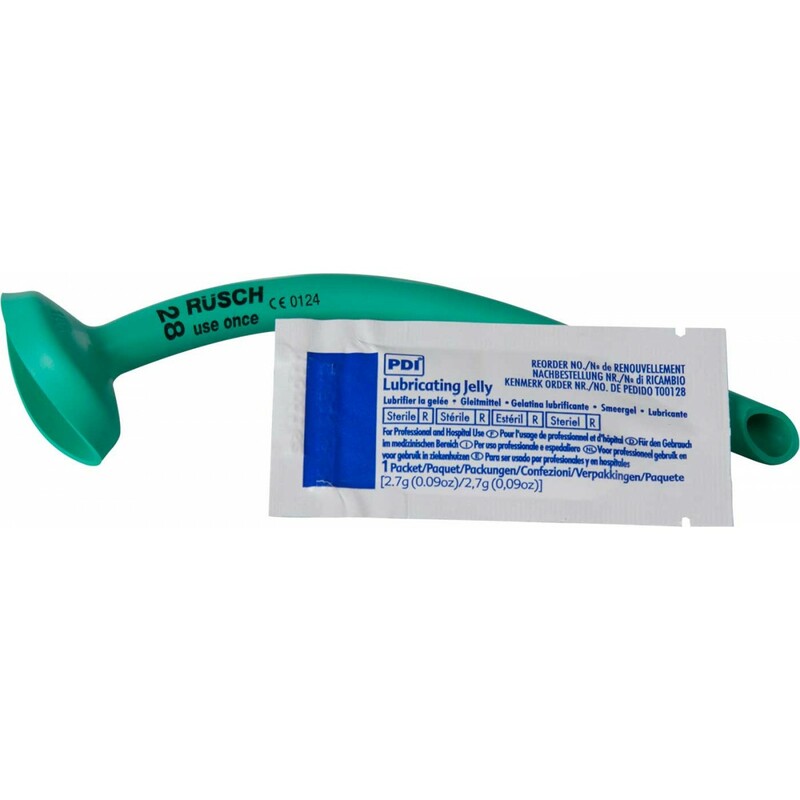 NPA – Recommended for use as an airway adjunct in the semi-conscious or unconscious patient with an intact gag reflex. Not easily dislodged during transport and better tolerated than an Oropharyngeal Airway. Vacuum-packaged and conveniently attached surgical lubricant for quick access and to facilitate ease of insertion. 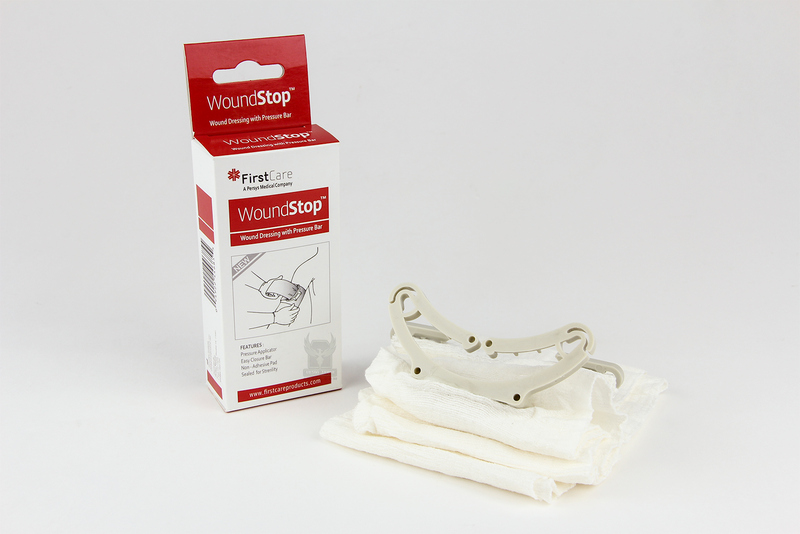 WoundStop Bandage – WoundStop bandages are cost effective wound care solutions for mild to moderate bleeds. 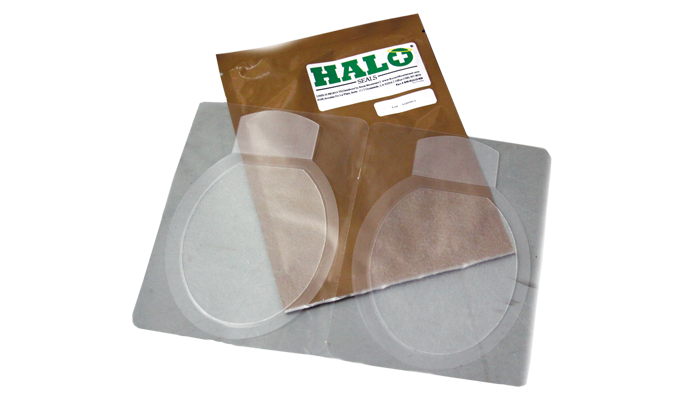 These bandages utilize a non-adherent pad, pressure applicator, elastic wrap, and closure bar in a ready-to-deploy sterile package. This life-saving technology offers the same features as the original Israeli Bandage® while offering a more light-weight material, more compact packaging, and less cost. QuikClot Combat Gauze is a soft, white, sterile, nonwoven 3” by 4 yds rolled gauze impregnated with kaolin, an inert mineral that does not contain animal or human proteins or botanicals. 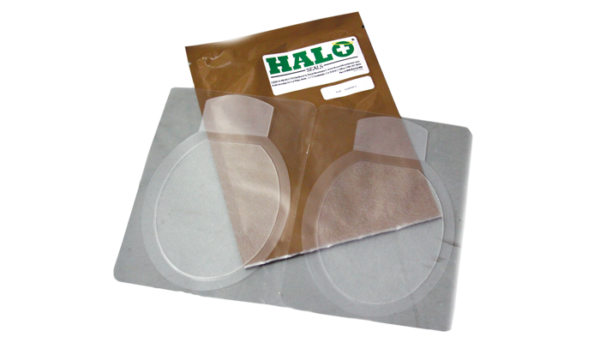 Each roll of QuikClot Combat Gauze is individually wrapped in an easy rip, military grade foil pouch. Indicated for temporary external control of traumatic bleeding, QuikClot Combat Gauze is flexible and pliable and contours to all wounds. 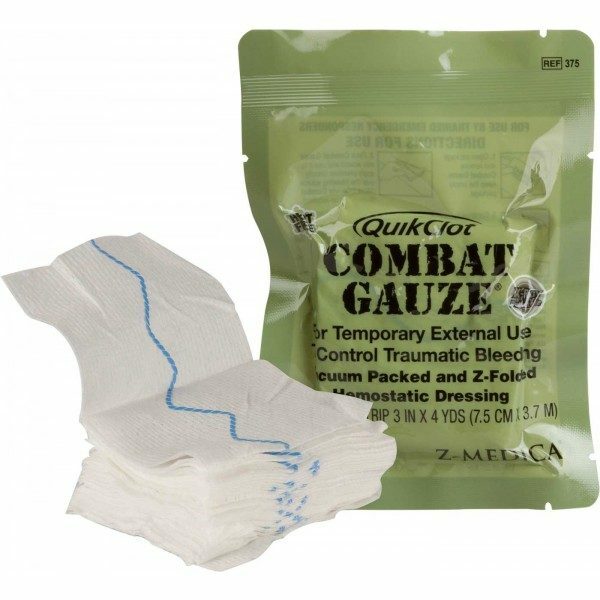 Recommended as the number one hemostatic agent by the COTCCC (Committee on Tactical Combat Casualty Care Committee), QuikClot Combat Gauze is the only product carried by all branches of the US Military to control life-threatening hemorrhage. 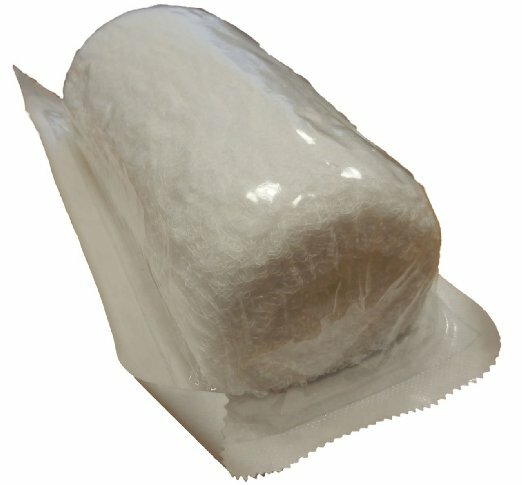 Kerlix – Gauze roll. Stuff it in holes. The C-A-T utilizes a durable windlass system with a free-moving internal band providing true circumferential pressure to the extremity. Once adequately tightened, bleeding will cease and the windlass is locked into place. A Hook and Loop strap is then applied, securing the windlass to maintain pressure during casualty evacuation. 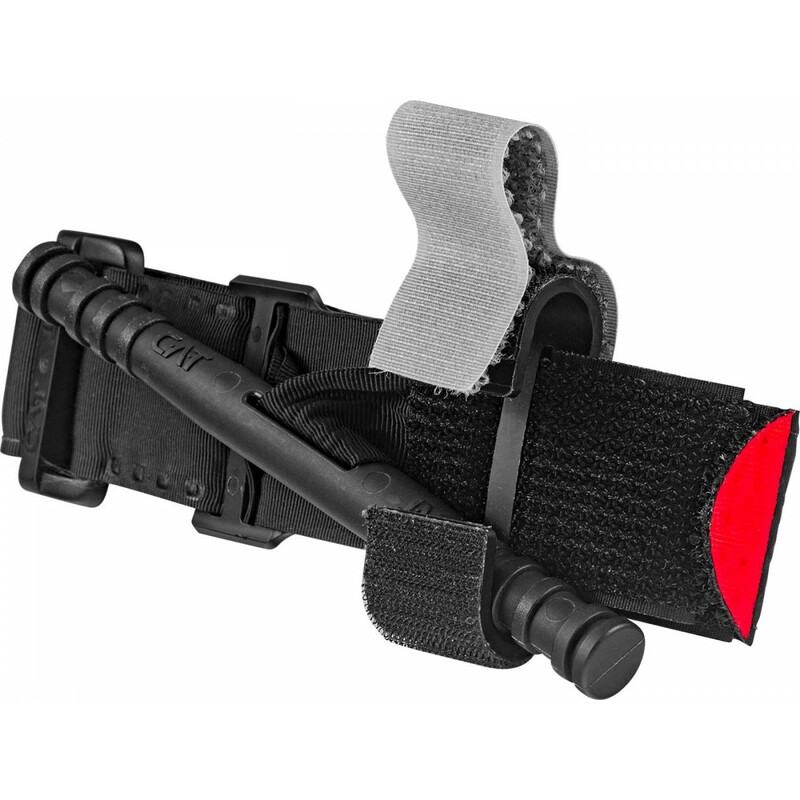 The C-A-T’s unique dual securing system avoids the use of screws and clips which can become difficult to operate under survival stress or where fine motor skills are compromised.